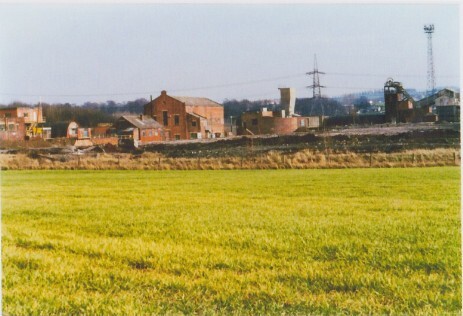 Formerly owned by J.&G.Wells LTD Eckington Collieries sunk in 1860. Grid ref. 438775. 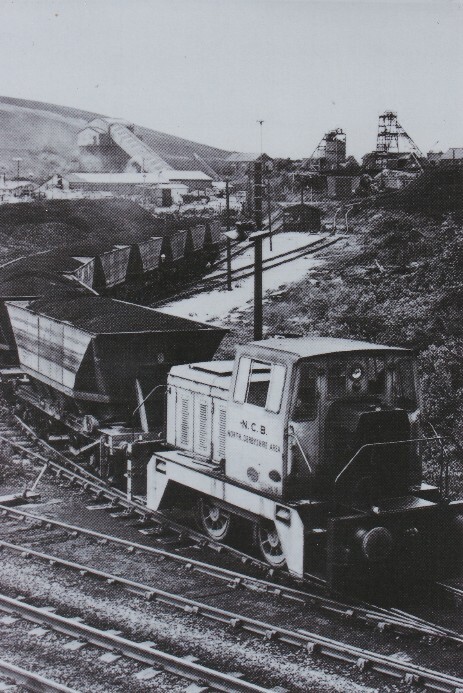 Four shafts together in the pit yard, number one is 678 feet into the Blackshale coal: number three was the main winding shaft at 195 feet into the Sitwell seam but the pit bottom is laid out in the Chavery seam. The number four shaft lies about 30 yards west of number two shaft, this shaft was formerly the number two shaft. An explosion took place at the colliery on January 10th 1871 which resulted in the death of twenty five men and two boys with twelve others injured. This disaster took place before the widespread use of safety lamps in mining. 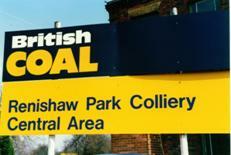 Work was suspended on Wednesday at the Renishaw Park Collieries belonging to Messrs J. & G. Wells on account of the pony drivers refusing to submit to a reduction of 2d per day. Some time ago a deputation waited on Mr. J. C. Colver Managing Director to arrange what the reduction should be. The understanding arrived at by Mr. Colver and the deputation was that the men should be reduced by 5%, day men 3d per day and the boys 2d per day this arrangement to take effect on the 7th inst. The lads congregated on the road on Wednesday morning en masse and instead of going to the pits they went home again throwing all pits idle which will affect 1,000 men. Bankruptcy of S. S. Pearce. A meeting of the creditors of Stephen Seward Pearce of 79 Park Lane, Seward Villa, Freemantle Cliff, Southampton and Renishaw Collieries near Chesterfield trading as the Renishaw Colliery Company was held at the Guildhall Tavern London. The affairs are of a most complicated Character, the bankrupt having been in partnership with his brother who has also filed a petition and several knotty points of law are involved. 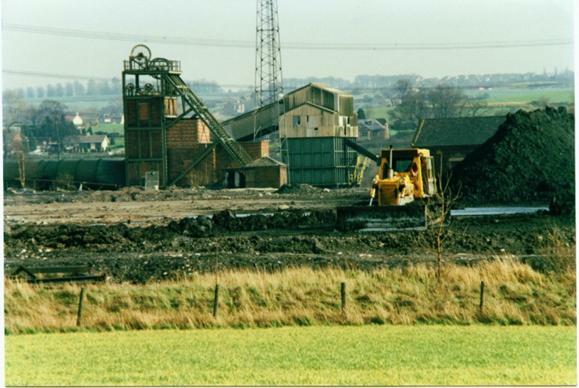 The liabilities were set down at £25,926 and the assets at £19,565, among the list of unsecured creditors were Dr. Holmes Ashgate £3,900, The Midland Railway Company £2,638, Chesterfield and Boythorpe Colliery Company £200, Hetton Colliery Company £1,225 and Hucknall Colliery Company £68 – 16 – 10d. For sale the whole of the colliery plant including one pair of winding engines by Davy of Sheffield and eight other engines not named at Renishaw Colliery. 40 banksman and screen men were discharged last week for ceasing work and stopping the pits at 4.00 p.m. instead of 4.15 p.m. Mr. Hardwick the manager met the men who asked to be reinstated admitting they had made a mistake by stopping the pit. The men were reinstated. 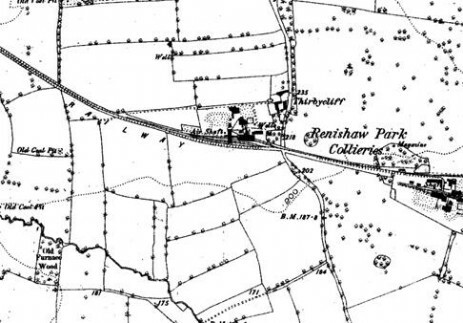 A mine sunk some 50 yards east of Eckington and Renishaw station (Great Central Railway) and 350 yards north west of Renishaw church. Grid ref. 446781. Possibly sunk in 1868 but a record from the firm of Appleby & company give a date prior to 1850.